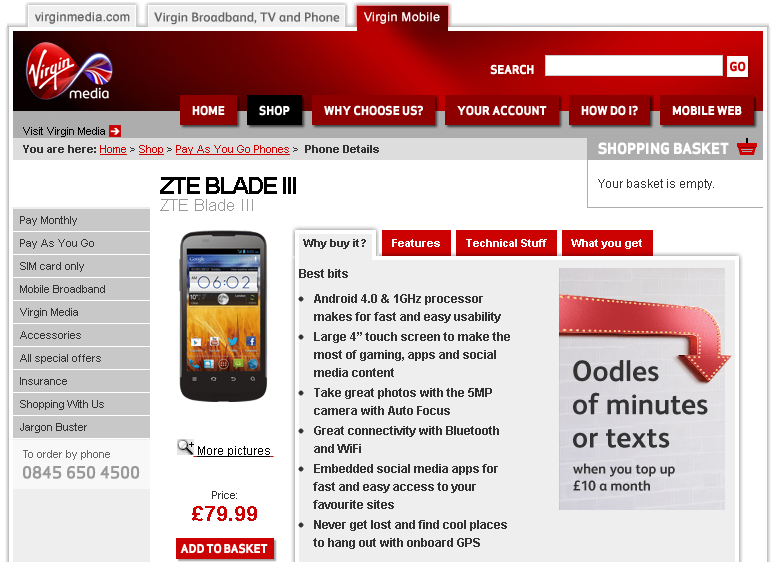 The ZTE Blade III has been available outside of the UK since September of last year, but it's only just making its official appearance on British shores now, as a Virgin Media exclusive, for now at least. 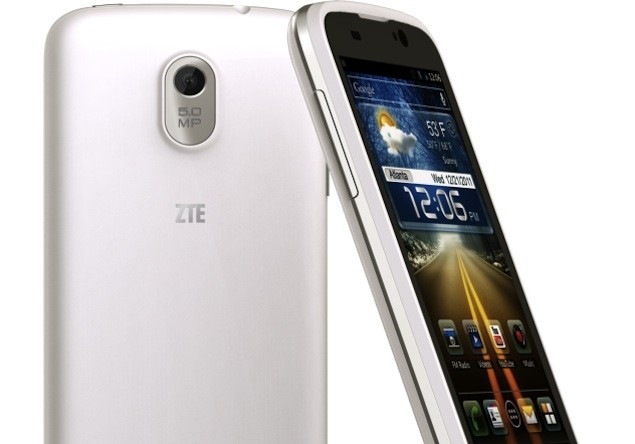 The budget smartphone, which comes with a 4-inch capacitive display, 1GHz CPU, 512MB of RAM and 2.5GB of internal storage, is available for just £79.99 through Virgin Media on pay-as-you-go. If you'd prefer to be on a monthly contract, prices start at £18 for non-Virgin customers, whilst those who have an existing Virgin Media package can get it for £13 a month. On the lowest monthly tariff, you'll receive 500MB of data, 200 minutes and 500 texts. If you want unlimited data, you can go for the Premiere plan which will cost £21 per month for existing customers, and £26 for everyone else. If you're in the market for a new smartphone, but don't want to spend a fortune, the Blade III looks like a pretty good option on the surface, especially considering the low price point. If you want more information, you can find everything on the Virgin Mobile website.